Zimbabwe's Data and Voice Queen B named? Zimbabwean business tycoon Mutumwa Mawere has suggested that there is a Data and Voice Queen B in Zimbabwe. Mawere threw in the the suggestion after Econet Wireless founder Strive Masiyiwa's wife, Tsitsi, sparked internet speculations through posting a Tweet insinuating the Telecommunications mogul might be joining Mnangagwa's government in some capacity. Writing on Twitter, Tsitsi said: "I read about in Genesis the story of Joseph the young Israelite's appointment as prime minister of Egypt by Pharaoh. Wow! Incredible. Found myself asking, ‘Can you be called upon by your pharaoh to serve in your Egypt to prevent calamity?'" 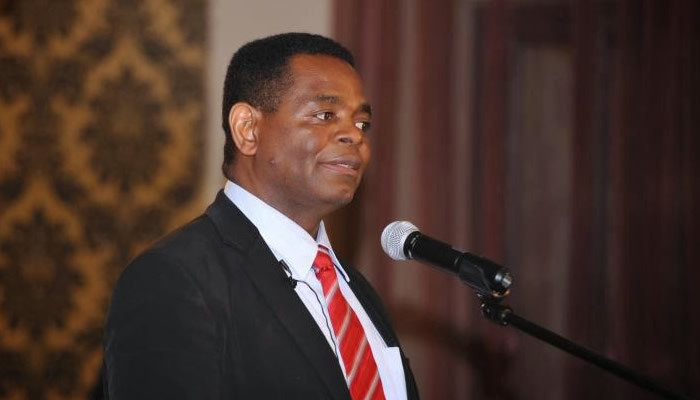 This prompted Mawere to respond "Perhaps Joseph is completely blindfolded by the dominance in electronic money&the profits generated by a disguised monopoly. If a Queen B of fuel exists, then who is the data&voice Queen B?." On Wednesday, Strive Masiyiwa's name was trending on social Media after he uttered statements endearing himself to Mnangagwa in an interview with CNBC Africa. Masiyiwa's company Econet Wireless Zimbabwe is the largest telecoms firm in Zimbabwe with a diversified portfolio. When bench marked against other countries, monthly mobile data costs in Zimbabwe remain one of the most expensive in Africa. Ecobank's report found that Zimbabwe ranks number 2 across 47 African countries, in a study that examined the average monthly cost of one gigabyte of data. The monthly average cost of mobile data in Zimbabwe is pegged at $25 per gigabyte, second to Equatorial Guinea’s most expensive mobile data which goes for $35.47 per gigabyte. Econet's mobile internet and data traffic market share stands at 67.1%, with the company having installed 11 000km of fibre optic cables across the country. Econet, which has invested much more than its other two competitors, also gets the bulk of the sector's mobile revenues with a share of 84.3%. The company's investment appetite has also seen it dominate the mobile money space, where it has a 96.8% market share and more than 8 million subscribers on its platform. EcoCash processes about 90% of transactions in the entire mobile money field and, secondly, 98% of the country's mobile money subscribers are on EcoCash as well. Acie Lumumba, real name William Gerald Mutumanje, last week threw the cat among the pigeons when he suggested there is a so-called Queen Bee, so powerful that he single-handedly controlled the country's fuel industry and was preferred ahead of other players in the allocation of foreign currency by the Reserve Bank of Zimbabwe. He further said the character was so powerful that he even controlled some top government officials except Mnangagwa. While Queen Bee continues to be a mysterious character in the eyes of many locals, Presidential advisor Chris Mutsvangwa weekend claimed that Sakunda Holdings owner, Kudakwashe Tagwirei was the Queen Bee. Mutsvangwa endorsed Lumumba's claim that Tagwirei was being given preferential treatment in terms of foreign currency allocation by the central bank. Tagwirei is the owner of Sakunda Holdings, which is in a 50:50 partnership with Trafigura, an international company with interests in fuel across the globe.